Dr. Patricia A. Whitely has been the Vice President for Student Affairs at the University of Miami since 1997. 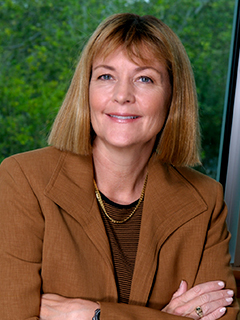 Prior to her appointment, she was Director of Student Life at the University of Miami from 1994 to 1997. She also served from 1982 to 1994 at the University of Miami as a Residence Coordinator, Assistant Director of Residence Halls, and Associate Director of Residence Halls. Dr. Whitely is an Adjunct Faculty Member in the Higher Education Administration program in the Department of Educational and Psychological Studies in the School of Education and Human Development at the University of Miami. She has served on the National Association of Student Personnel Administrator’s (NASPA) Foundation Board, is a frequent presenter for the NASPA Alice Manicur Symposium and has served on the NASPA Editorial Board and NASPA Region III Committee. Dr. Whitely served as Chair of the NASPA Board of Directors for 2014-2015. Dr. Whitely has been honored with numerous awards by the student and academic communities at the University of Miami. In 2012, the University of Miami Student Government Executive Board honored her by naming a new award entitled the “Patricia A. Whitely Unsung Hero Award.” In 2017, the Faculty Senate honored her with the James W. McLamore Outstanding Service and Leadership Award for her countless contributions to the University community. NASPA Region III awarded her the “John Jones Award” for Outstanding Performance as a Senior Student Affairs Professional in 2012. She is also the recipient of the 2013 NASPA Scott Goodnight Award for Outstanding Performance as a Senior Student Affairs Officer, the highest award in her profession, as well as the recipient of the 2009 NASPA Pillar of the Profession. Dr. Whitely received her bachelor’s degree in Business Management and Theology from St. John’s University, her master’s degree in Student Personnel Services from the University of South Carolina, and her doctorate in Higher Education Leadership from the University of Miami.